Is your pooch a bit naughty? We handcraft partial choker collar and behaviour control lead – the most humane way to exert your leadership and pack control. Our products give you easy control of your pets. Control that is also comfortable for both of you as they are fully adjustable. Individual partial chokers do not have a buckle. 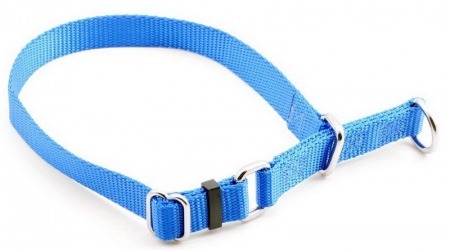 All of our products, including Partial Choker Collar, have an unconditional lifetime guarantee. Even if they are chewed in half by on overabundance of enthusiasm. That’s how much we believe in our products. They are hand sewn and made from tough, high quality nylon. Every one of our dog and cat collars, harnesses and leashes are completely, and proudly, made in California. As a result we can ensure the highest quality in each item, both in composition and construction. We do what we do best, because we are specialists in what we do. We create a variety of dog collars, dog leashes, dog harnesses, cat collars and cat harnesses. Nothing more. Nothing less. 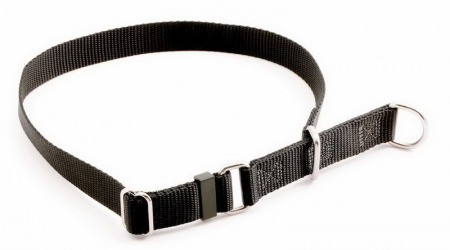 Premium Tuff Lock focuses on creating products that are all about pet comfort, perfect fit, adjustable sizing, world-class quality and attention to detail. 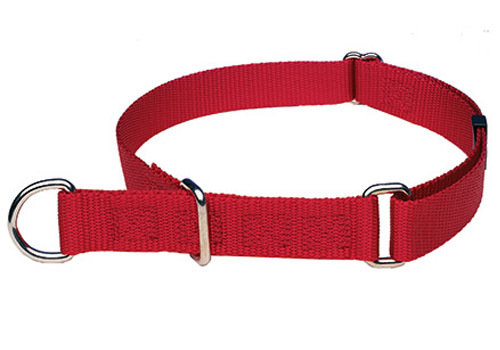 We offer our Partial Choker Collar in 2 different sizes 1″ and 3/4″ in solid red, blue and black.